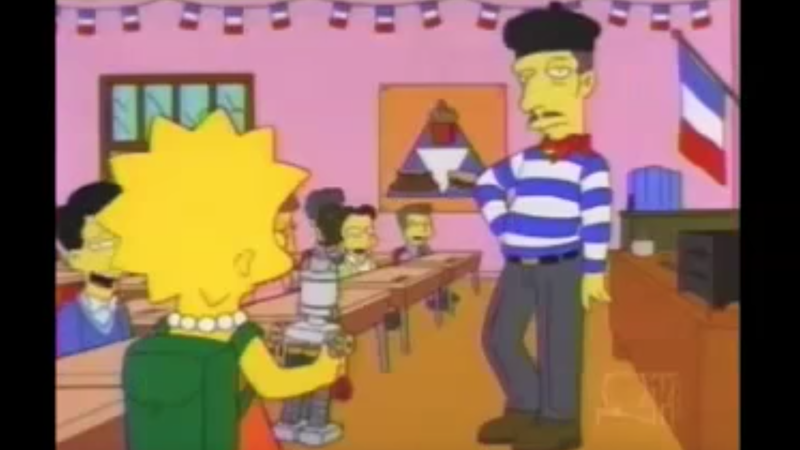 French teachers are sick and tired of tweens and their smartphones, so they’re banning phones and sending the children straight to the guillotines. Just kidding! But they are banning the phones. The Telegraph reports that France is moving to impose a total ban in primary and secondary schools. Though phones are already banned in classrooms, the new rules mean that kids couldn’t take them out on breaks. That means kids will go a whole school day without tweeting, posting a Musical.ly video of them lip-syncing to Ed Sheeran, or updating their Instagram story. All that content, gone. As for how the ban is actually going to work, it’s unclear. Lockers or named bags might be provided for kids to store their phones and some teachers already leave a box in the front of class for kids to leave their phones in. But there are some parent detractors to the move for a ban who, surprisingly, aren’t just two French 12-year-olds stacked on top of each other inside of a very French trench coat pretending to be someone’s dad. The parent association Peep is skeptical of the ban according to the Telegraph. “Imagine a secondary school with 600 pupils. Are they going to put all their phones in a box? How do you store them? And give them back at the end?,” the association said. Mon dieu. Keeping Up With The Kindergartners: Do You Already Feel Left Behind By Technology?